Paul Pogba has returned to Manchester United training, and is taking part in light drills as he steps up his recovery from injury. 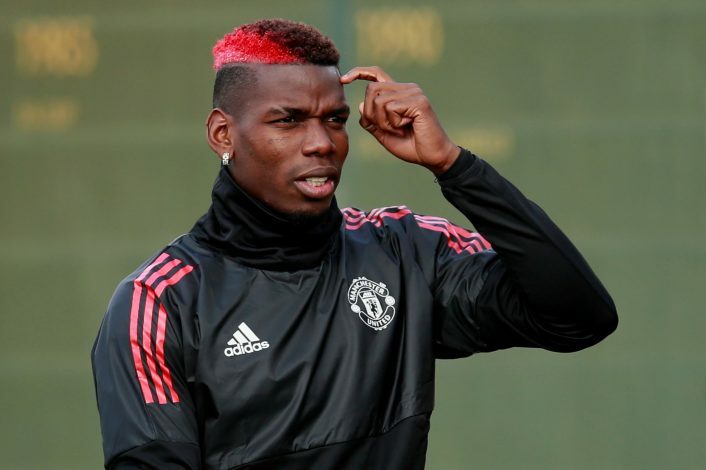 Pogba went off injured after 19 minutes in United’s 3-0 Champions League win over Basel a month ago, and he has been absent from the team ever since. Scans showed that the midfielder had pulled his hamstring, and Jose Mourinho referred to it as a ‘long-term’ injury. However, the United boss will be relieved to see the 24-year-old back in training again, and will hope to have the Frenchman back on the pitch as soon as possible. Having lost Marouane Fellaini to injury during the International break, the Red Devils look a little short of options in the middle of the pitch ahead of their visit to arch-rivals Liverpool on Saturday. Michael Carrick has also suffered a knock, and will not be fit to play, leaving Ander Herrera and Nemanja Matic as the only experienced options in central midfield. Mourinho is refusing to moan though, insisting that he trusts the players that are available to play, and believes they can do the job for his side. Phil Jones is also a doubt for the trip to Anfield, but fears over the fitness of Romelu Lukaku were eased when he came on as a substitute and scored during Belgium’s 4-0 win over Cyprus.